KEIZER, Ore. – There’s always the second half of the season for the Spokane Indians. The Indians failed to hold a three-run lead Saturday and were eliminated from the Northwest League’s North Division first-half playoff chase during an 11-8 loss to Salem-Keizer at Volcanoes Stadium. The Indians (16-20) had a chance to move closer to first-place Everett (19-17), which lost 9-0 in Boise, but their pitching fell apart after taking a 7-4 lead into the bottom of the sixth. 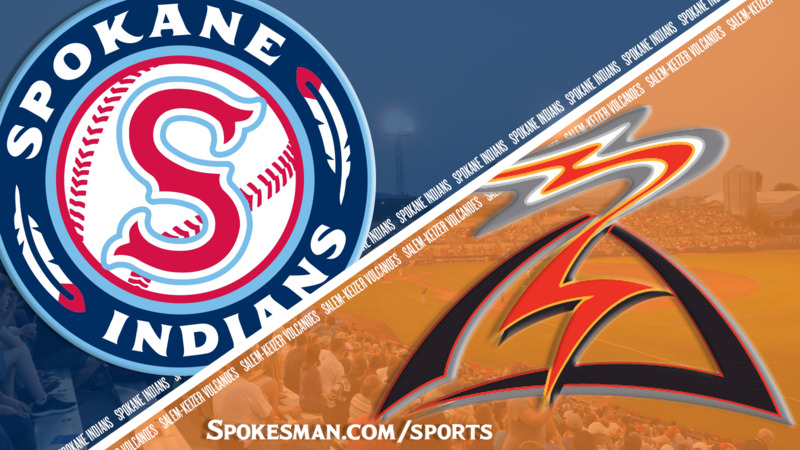 The Volcanoes (18-18) struck for four runs in the sixth, capped by Kevin Rivera’s two-run triple, and withstood the Indians’ rally attempt with a two-run eighth. The Indians led 3-1 after Julio Pablo Martinez’s sacrifice fly completed a three-run second. Spokane added three in the fifth, topped by Scott Kapers’ two-run homer. For Spokane, Curtis Terry finished 4 for 5; Cristian Iona was 2 for 3 with three runs; and Jax Biggers and Kapers drove in two runs apiece. Everett will try to hold off Vancouver (18-18) and Tri-City (17-19) with the first half down to two games. Spokane begins the second half Tuesday at home against Tri-City. Published: July 21, 2018, 10:47 p.m.